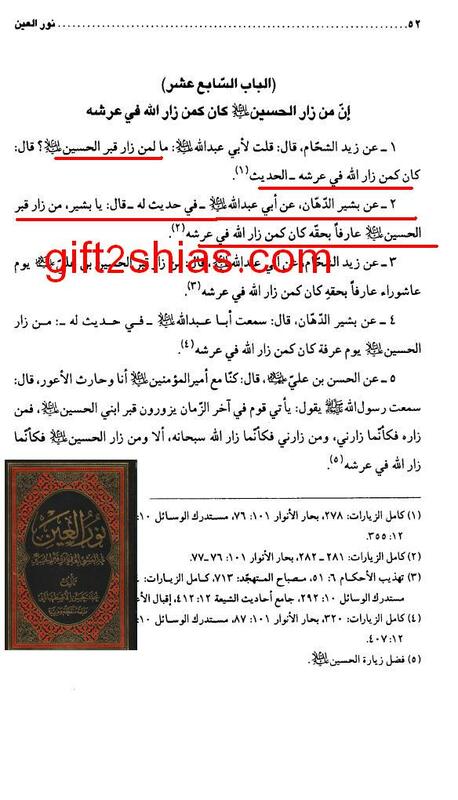 We have already posted few quotes from shia books on this. 1) From Zayd Shahham: I said to Abu Abdullah (alaihi salam): What for a person who visits Hussayn? He answered: He like visited Allah on his Throne. 2) From Bashir Dakhan from Abu Abdullah (alaihi salam), which said to him in one hadith: O Basheer, who visited grave of Hussayn, acknowledging his rights, like visited Allah on his Throne.